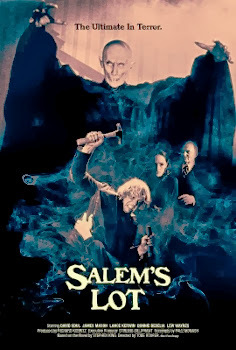 Salem's Lot aired on CBS on November 17th, 1979. Filming locations include Ferndale, CA. I wish they offer tours for this sort of thing cause it will attract tourist. Good information. Just what i wass earching for. Huge King fan and huge Salem's Lot fan. The 1979 original to me is by far the best film adaptation of a King novel. I was 9 years old when it first aired and it remains the only movie that has ever chilled me to the bone and still to this day gives me the willys a bit. The musical score alone scared me as a child. Brilliant book and brilliant movie. I have been to Ferndale just to see the locations. Everything is pretty easy to spot without asking anyone but I did speak to several people in town who have lived there during and after filming. They ones who lived there said they were thrilled that their town was portrayed as Salem's Lot and it spooked them just a little. I wanted to meet the Owners of the "Marsten" house and hopefully be allowed a quick tour but never did speak with them. The house was built for the movie. It was torn down after movie was finished.